I am a writer of young adult fiction. My first novel, Killer Cows, [was] published in 2010 by Quake, an imprint of Echelon Press. When I am not writing, I teach 7th grade Language Arts at Parkrose Middle School in Portland, OR. I have a lovely wife, two beautiful daughters, a neurotic dog and two cats. 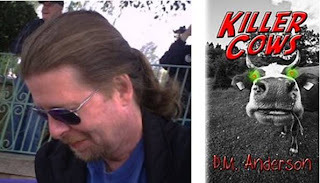 With the successful publication of his first novel, this author has jumped on board the event and donated three eBook copies of his book Killer Cows to the Kick-Off contest! For more information on this book and works in progress, visit his website, Facebook page, or follow along on Twitter. Edgy Inspirational Romance reviews Christian romance both sweet and unsweetened. 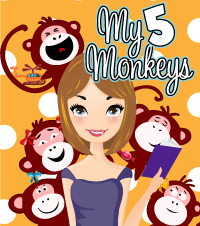 This blog interview your favorite authors, hosts giveaways and guest bloggers, and follows one romance writer on her journey toward publication. Mom to 5 kids and reads in her spare time and loves Gerard Butler and Chocolate. 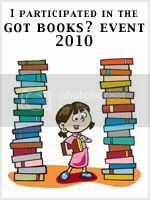 (Kristen)My blog is dedicated to reviewing young adult and middle grade fiction along with some graphic novels. From what you say, I invite you to check out my recent release. Just visit my blog. Thanks!